At the bottom of the Garden: Paging the toothfairy! 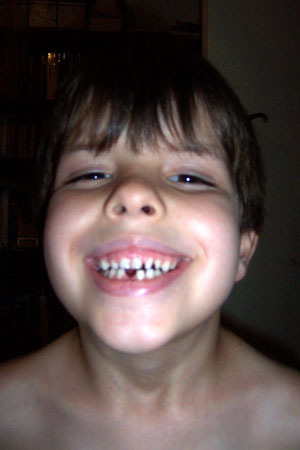 Several weeks ago Dave told me that Erik had his first loose tooth. Now, at the age of 6 3/4 years, it's been a long time coming, but then Erik didn't get his first tooth until he was 10.5 months old.